Making sushi is a skill that is difficult to master alone. 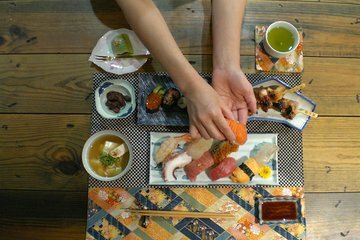 Get a hands-on experience under the guidance of an expert in this class at an Osaka restaurant. In a small group of no more than 14 participants, learn how to make sushi, as well as other typical Japanese dishes including miso soup and yakitori chicken.